Lucky enough if you don’t have to tear the engine apart, it’s the last risk I’d be prepared to take. I bet you feel the same too. 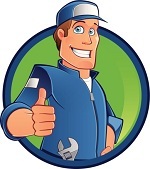 As soon as you notice your vehicle having random hiccups that increase the longer you ignore it, you’d pray that your trusted auto repair shop can leave you in peace. 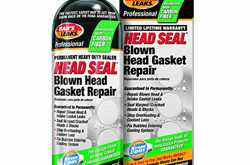 So, when your mechanic tells you that you have a head gasket problem, what are you going to do? Obviously, your mechanic would suggest replacing the head gasket and take the top of the engine off. But what if you are totally down and out? Is that even a smart option? – No, it is not. And here’s my take on that. Why jump out of the frying pan and into the fire? Difficulty level will essentially depend on how mechanically inclined you are, and most of us are not that savvy. Even by just staring at how much stuff are crammed on top of the engine. The gasket may cost just around $50 to $100, but have you thought about the specialty tools for the job that you need to buy or rent? And the fact that it is labor-intensive to just even pull a head off, especially, with some vehicles wherein the camshaft needs to come off too. Other than that, the timing belt comes off too which often will require a crankshaft pulley. This may take a long breaker bar, a large chain wrench or an extremely powerful impact wrench, an extremely powerful impact wrench. If you own an old vehicle, there are cases that you may need some extension bits. Either way, it is a lot of work. Not to mention the possible 10-14 hours of getting down to where the gasket is and put it all back on again. 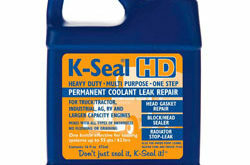 Just a bit of info about BlueDevil Head Gasket Sealer 32 oz. 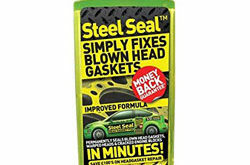 The product is primarily used for repairing and sealing blown head gasket, leaking radiators, warped & cracked heads, freeze plugs and leaking heater cores. One of the biggest concerns raised by those who are not knowledgeable enough about auto repair is will it help out any kind of vehicle? 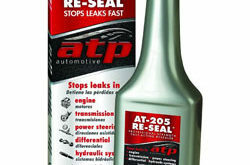 This stuff works for both 4 and 6 cylinder engines only. I have a 2015 Chrysler Town & Country LX 6 Cyl 3.6L. I am more than willing to save money just like most of us will and prevent to take my car to an auto repair shop as much as possible. However, it is very important that I also consider pros and cons. Before I made my purchase I checked with my friends who have used the product first, just to make sure I am making the right decision. So I bought it online through amazon.com for $60, (which I think the price is still within the average bracket) and it came with a 32 oz radiator flush. My buddies who recommended it to me gave me tips on how to apply it properly so that this stuff can effectively work and not get my head stuck in the engine. We take into serious consideration its price value (although it is not really a hefty amount) versus its performance, quantity or size, formula, and usefulness. Those are the only following criteria we all mostly have to keep an eye on, mind on and budget on. The mixture does contain any particulate matter, and it will not cause any clogs in the engine. My friend who is a mechanic tried this with one of his cars, and he gladly informed me that the car didn’t end up in a junkyard. This is how I recognized BlueDevil’s success rate is self-explanatory. I am not saying this based on how many excellent reviews it has. Some sealants (as you may have noticed) just do more damage than improvement. 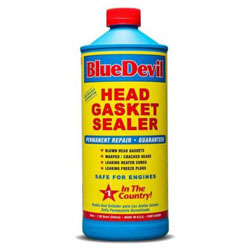 One of the factors that make BlueDevil’s head gasket sealer a high pick is the longevity of its strength after it was applied. It has been more than 10 months later since we poured this liquid into the radiator of my 2015 Chrysler Town & Country. It is still holding..
You want to save money, time, and energy? This is what we recommend you use. Lucky enough if you don't have to tear the engine apart, it's the last risk I’d be prepared to take. I bet you feel the same too.